CAMPER and Abu Dhabi are spearheading the fleet’s northern climb to Miami despite a diversion around a massive oil rig overnight, but it is PUMA who, with the blessing of the weather gods, appear to hold the upper hand. 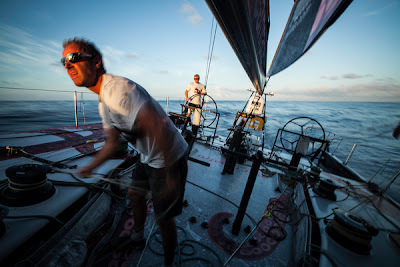 The leading duo elected to hug the coast and split from the three Juan Kouyoumdjian-designed boats, who are near untouchable in the broad reaching conditions, in a bid to take a shorter course. But their inshore shortcut was hindered overnight when an oil rig, laying eight kilometer cables, forced the pair on a detour that cost them about five miles on PUMA, Telefónica and Groupama offshore. 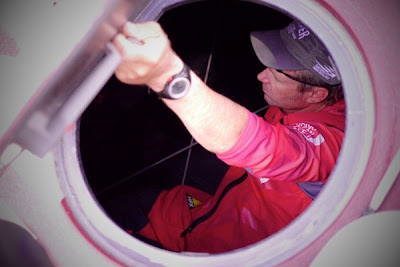 Now it is nearing crunch time for the inshore pair as the fleet approach a pressure area between a high and a low, which could enable them to reach to an advantageous position offshore in a southerly tending breeze or stall. 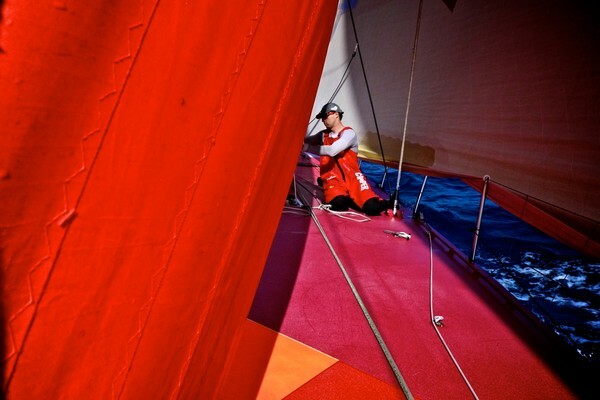 At 1300 UTC CAMPER with Emirates Team New Zealand held a 4.2 nautical mile lead over Abu Dhabi Ocean Racing, while 70 nm to the southeast, PUMA Ocean Racing powered by BERG were in third, followed by Team Telefónica and Groupama sailing team. Abu Dhabi skipper Ian Walker said whether the inshore or offshore option, or even PUMA’s middle road, would pay off was anyone’s guess. “I wouldn’t like to call who’s in the best position right now,’’ he said. 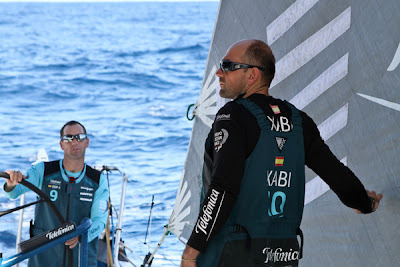 To the southeast, Telefónica skipper Iker Martínez said he was confident in his team’s positioning as they tried to take advantage of small gusts and squalls offshore. 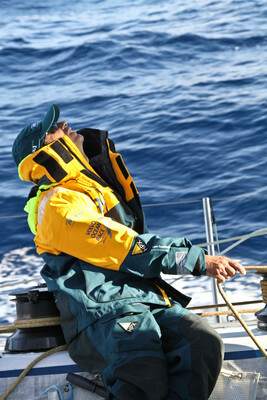 While taking the coastal route was an option, Martínez said he and navigator Andrew Cape fancied the offshore route because of promising wind and angles, plus the absence of the Brazilian Current, which can run at about 1.5 knots. Volvo meteorologist Gonzalo Infante said it was unclear if the east or west route would pay dividends, however PUMA looked good in the middle lane. “PUMA look strong in the middle, it was a good risk management strategy, but there is a pressure system that should speed up the fleet’s transition to the trade winds, and whether this pays inshore or offshore will be a deciding factor,’’ he said. Meanwhile, Team Sanya’s Volvo Open 70 continues her voyage towards the US on board a cargo ship, as part of what the team have dubbed “Operation Savannah” in honour of the American port where they expect to dock on April 27. 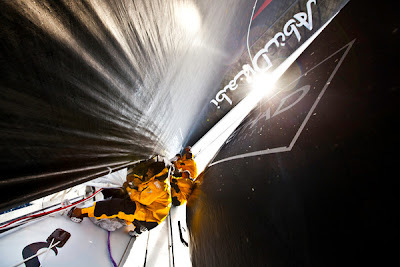 The team will then sail the boat 350 nm to Miami, ahead of the PortMiami In-Port race and Leg 7 start.